Written by Chris Ward on August 16, 2012 . Posted in Articles, News. Unless you’ve had regular contact with very small people over the past three years, you may be unaware of the existence of CITV’s pro-literacy kids show Bookaboo. 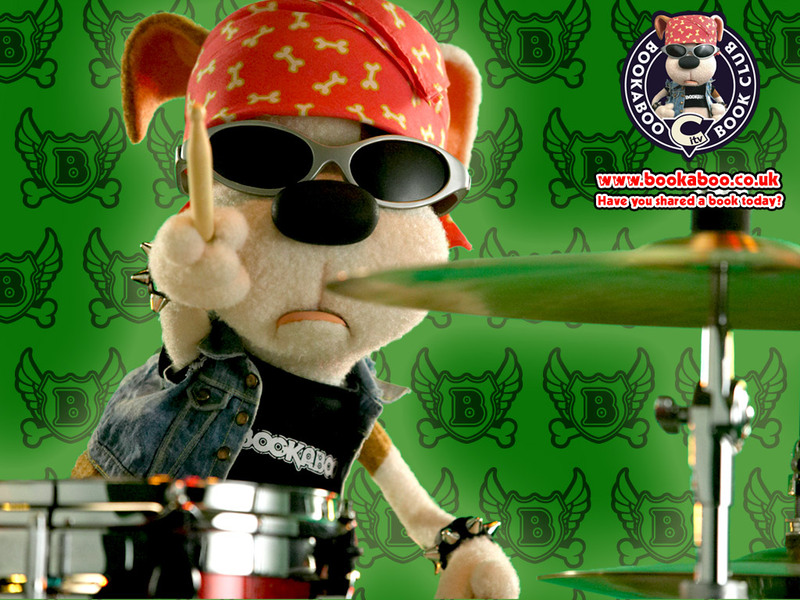 Since 2009, 26 episodes have been broadcast starring the eponymous ‘rock puppy’, a drummer in a band who refuses to perform on stage (or maybe is physically unable to do so – it’s not entirely clear from the online research if this is actually some sort of psychological disorder) unless he is read a story by a celebrity guest (well, their being a celebrity isn’t a crucial requirement, it seems, but it tends to be the way of things). His problem is summed up by what appears to be his catchphrase, ‘a story a day or I just can’t play’. No word as yet on whether or not he’s also a kung fu hippie from gangsta city. Anyway, kids seem to like it, which is obviously a good thing when it comes to encouraging them to read, and its popularity has been rewarded with a new series to run in the autumn, to be followed by a Christmas special. No books have been selected for these episodes as yet, which means there’s still time for publishers to submit appropriate choices for consideration (and presumably a subsequent sales bump, but how dare you sully the innocent joy of childhood with such a wanton display of commercialism). Publishers who think they have a story suitable for ages 3-6 that would sound just right being read to a rock star puppy by the likes of Lorraine Kelly, Meat Loaf and Lethal Bizzle (collectively known as MY DREAM DINNER PARTY) should submit two print copies to Clare Fleming at 27 York Road, Teddington, Middlesex, TW11 8SL, along with a PDF copy to be sent to polly@nutshellmedialtd.co.uk. Better get a move on, though – the deadline for submissions for these forthcoming episodes is this Monday, August 20th. Don’t deny the nation’s children the chance to hear your cute tale of a mouse who just wants to be left to draw in peace read aloud by, I don’t know, Dappy or something.